Last week I described an idea I had for a walking-based Higher Education teaching activity. You can read it here. This post indicates how some of my #CreativeHE colleagues responded to the Walking Challenge that was part of our #CreativeHE conversation. I can only give you a glimpse of the variety of ways moving outside (physically and metaphorically) supports the pedagogy of these educators. Please learn more about each of the contributions I introduce below by going directly to the IMAGINATION category in the Creative Higher Education community and exploring the posts there. From my field observations I was able to see that a simple brief – interact with the world outside the compound and pay attention to what you are learning through the experience, provided the catalyst for imagining, self-organising, discussion and decision making, planning and preparation and then execution of a strategy in cultural/social situations that were unfamiliar, uncertain and unpredictable. Some of the contexts being worked in were quite challenging and required a degree of courage. Perhaps also there was a level of naivety in expectations of what could be achieved, but perhaps this was also necessary as it provided a good basis for learning from the experience. The involvement of experienced facilitators or former khojis (learners) with particular knowledge and skills was instrumental in enabling the current khoji’s to make progress. In the short time I was there, projects were executed to varying degrees of success and some had yet to be fully implemented. Within the process facilitators encouraged participants to understand themselves and be aware of what was happening ie they were instrumental in developing conscious competence. Some Work of Russ Law: Experiential Academy, University of Surrey. “When I was Head of Performance Design at LIPA in Liverpoool, we used to get our students ‘out’ a lot. Two of the activities in induction week were a city -wide treasure hunt (to get them familiar with the city as well as each other), and a trip out to the coast at Crosby where the seawall was constructed out of the bombed ruins of Liverpool during WW2 and where the students were encouraged to explore, find and make things. (I’ve written abut that last activity before). One of the projects we used to get our performance design to undertake in the first year involved was to walk around the area near to LIPA, which was in an old part of the city, and really look carefully and intensely at the physical environment. The buildings, the streets, the alleyways, the odd corners, etc. Then they would have to select a small part of that environment, a doorway, a pediment, a derelict staircase, a flooded tunnel, a damp area where drainpipe, wall and ground met, a pile of rubbish bags, a booth in local pub, etc. 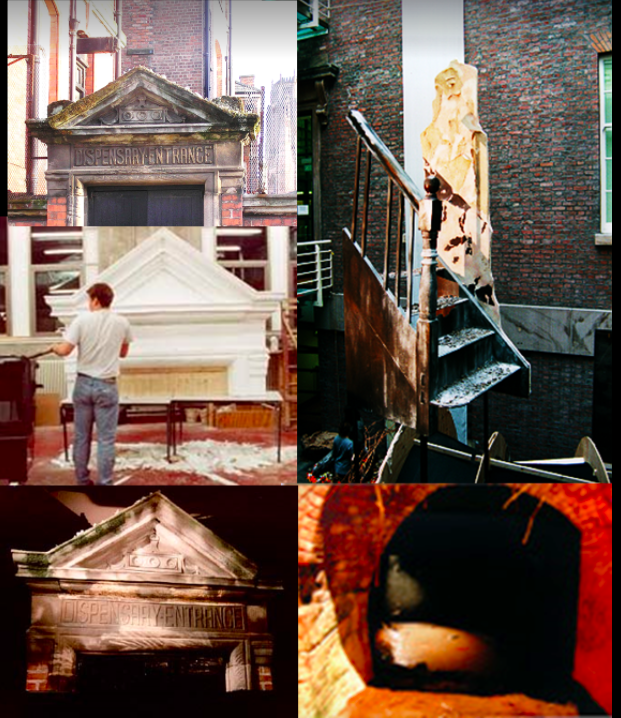 and recreate it precisely and to scale in the studio – using whatever materials and techniques required – and also exhibit it alongside whatever they could find out about the history of that particular location. 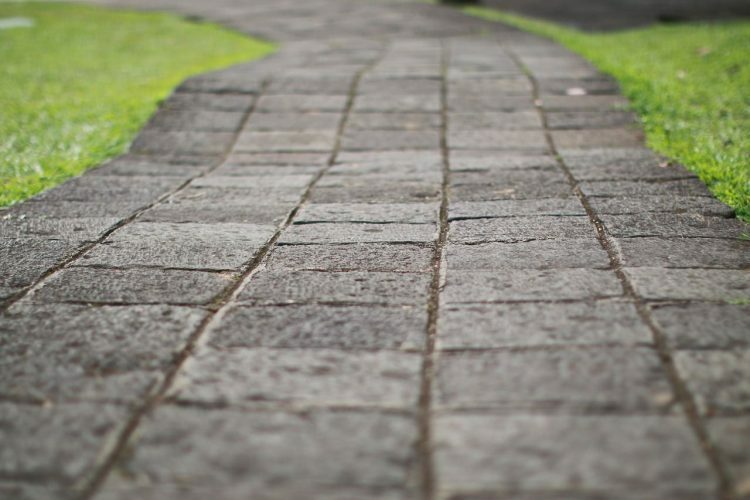 “A simple outside task we set our students is that they must wander the university and look at where learning is happening – or not happening. We ask them to explore formal and informal learning spaces – and to see what is going on… what facilitates learning – and what hinders it. They must then represent their findings (as poetry, animation, artefact, video, knitting etc) – and we hold and exhibition for them to showcase their work and celebrate their achievements. “My own practice is largely to do with walking, being in, even immersed in the physicality of the landscape itself and this influences my teaching. 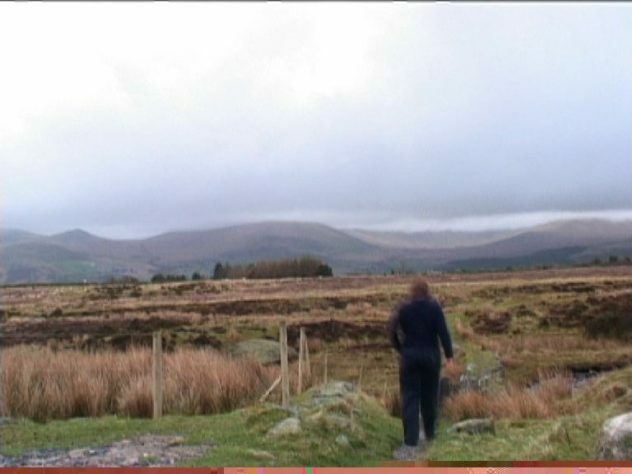 In 2004, I made a video entitled Walking on Moel Y Ci. For this work, I found a very particular spot I knew well. I walked through the landscape and cited passages from Wanderlust by Rebecca Solnit (2001). My interest in walking and the sound of feet on various terrains was explored in a recent video about walking in grass, sand and snow. This is split into four screens and all sounds cross over each other. Navigation with strings attached: Initially this was a cross-discipline transitional project taking place right at the start of the first-year intake. My project combined collage and concept mapping. Drawing on Paul Klee’s notion of ‘taking a line for a walk’, a different approach was used-giving students lengths of string and asking them to work in relation to this, encourages invention, self-reflection, and problem-solving. (Other key references here are to string pieces by Marcel Duchamp and to the Greek Labyrinth). “I worked as a volunteer for a local museum which has a connection with Dickens. Using an app called Findery (see below), I created a tour of the town’s links with Charles Dickens. Anyone can use the app or a browser to and walk around the town. When they come to a building or place with a link your phone will come to life and tell you about it. I think of creating the tours as an imagination challenge. Wondering round town on a treasure hunt is a bit like an imagination challenge and finding something sparks information about the building in front of you. That hopefully gets the user to imagine the spot where they are in a moment back in time. People can add notes either online or when they are outside in front of the building. There’s all sorts you can do with it. I wonder, Gillian…have you spoken to the people at the Wayfinding Academy about the walking curriculum? They might be a great fit for this.